So this is one of those survival horror exploration games that is all the rage these days…. I honestly have never played one. The closest I’ve come is the Resident evil series. Everything else looked like cheap and lazy jump scares, which, no thank you. Perception seems like it is going to be more than that. I love the art style and dig the atmostphere the trailer gives off. Dim the lights and grab your safety blankets: we are excited to announce the release date for Perception, a first-person psychological horror game that thrusts players into the role of a blind woman named Cassie who depends on her ultra-sensitive hearing to solve an ancient mystery. Plagued by nightmares that lead her to a haunted New England estate, Cassie must use her wits to remain hidden and outmaneuver a malevolent force that threatens her life. 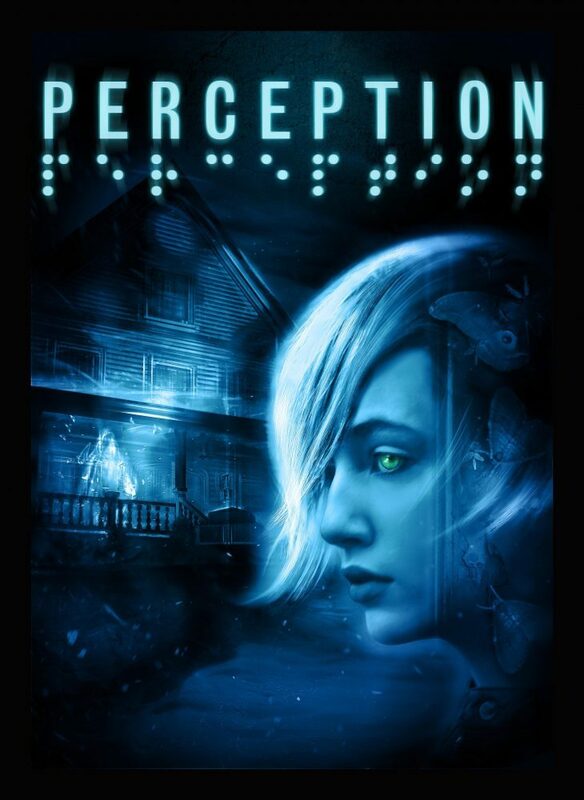 Perception was crafted by the folks at The Deep End Games (Staffed with veterans of the AAA threats, BioShock and Dead Space) and released by publisher Feardemic; the game launches simultaneously on Xbox One, PC and PlayStation 4 on May 30, 2017. This news is accompanied by a brand new trailer, which showcases the haunting, singular experience players can expect when Perception. Fans of games like SOMA, be sure to tune in. Perception will serve you your daily dose of creeps. After months of research, Cassie has discovered an abandoned mansion in Gloucester, Mass. Armed with a cellphone to contact the outside world and her drive to solve the mystery, she sets off for Echo Bluff… only to find it’s worse than her nightmares. A ghostly “Presence” has tormented the house’ inhabitants for generations, and now has its eyes set on Cassie. She must solve the estate’s mysteries or risk becoming one of its victims. Cassie finds her way through the house by tapping her cane to “see” via echolocation. Every sound creates a visual, but there is a cost. Each cane tap will reveal her whereabouts not only to herself, but to her pursuer, the Presence. She must avoid detection by using the ambient noise of the house to help her navigate or by making use of objects to create distractions. Only one thing is certain: The Presence is searching for Cassie… and it’s listening. “See” using echolocation. Every sound creates a visual. Perception launches on Xbox One, PC and the PlayStation®4 computer system on May 30, 2017. The Deep End Games is an independent game developer formed by industry veterans of games like the BioShock series, Rock Band, Dead Space and many more. Perception is a trademark of The Deep End Games. Feardemic is an independent videogame software publisher, based in Krakow, Poland. They are interested in publishing only exceptional and ambitious games that explore the psychological mindscape. They’re all about unconventional ways of thinking, and they build up a unique strategy for each title they work with. As a company, they have a developer backgrounds, so have a pretty solid grasp of how things work from the other side. They do what they do because they’re truly passionate about good psychological horror and would love to see more and more of it.